This triangle tour helps you cover the most important places of India: Delhi, Agra and Jaipur. 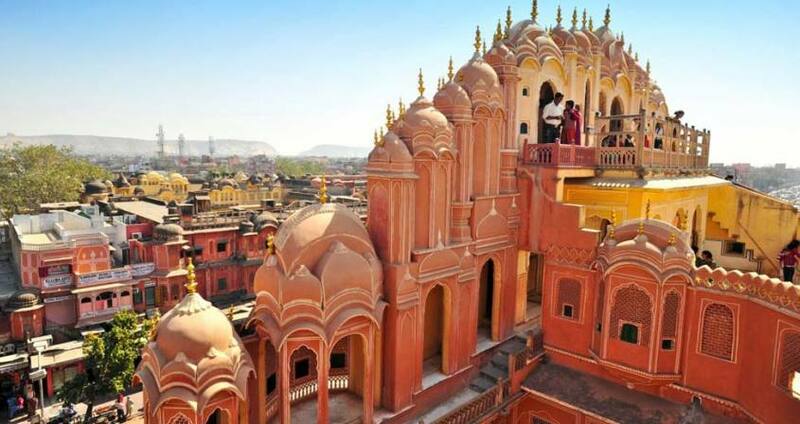 Bask in the glory of Indian heritage; enjoy the colors and royalty of this great country, lined with its colorful and cheery culture.Jaipur itself famous as Pink City and offer different richness of it's culture, archeology, Heritage, Lifestyle and vibrant evening in the city. Day 1Delhi – Agra Via SikandraMorning, (Please advice your pick up time), you are driven to Agra en-route Sikandra. Upon arrival, you are transferred to your hotel. Day 2Agra – Jaipur via Fatehpur SikriEarly Morning, Taj Mahal at sunrise (closed on Friday).Later come back hotel for breakfast & brief Rest. Driven to Jaipur en-route Fatehpur Sikri. Enjoy in room full body massage by a gay male therapist who will rejuvenate you. Late afternoon, enjoy a leisurely cuisine walk which covers fruit, vegetables & spice market along with exclusive cooking class of Rajasthani cuisine & local bazaar. Day 3JaipurAfter breakfast, visit Amer Fort with an Elephant ride followed by Hawa Mahal, City Palace, Jantar Mantar & Local bazar. Day 4Jaipur - DelhiAfter breakfast at the hotel, you are driven towards Delhi & transferred to the hotel.